When you are the best of breed, it is hard to be humble. The undisputed worldwide leader in laser alignment technology for nearly 50-years, we design, manufacture, sell and service a wide range of laser alignment and calibration systems to satisfy virtually any alignment application. From our patented Triple Scan® machine tool alignment technology to our Dual-Beam™ technology in our Stealth Series™ shaft alignment lasers, our technology truly does make us better, and allows us to offer laser systems that are more accurate and easier to use than any others in our industry. 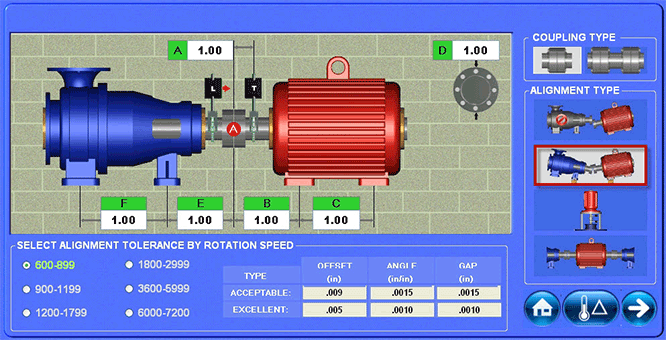 All of our systems are renowned for their simplicity and ability to align machines faster than any other method. Add to that our nearly 50-years of laser alignment experience designed into everything we sell, and you can be assured that if it’s aligned with a Stealth Series™, it’s done right and it’s done in record time! More accurate and easier to use than any others in our industry. 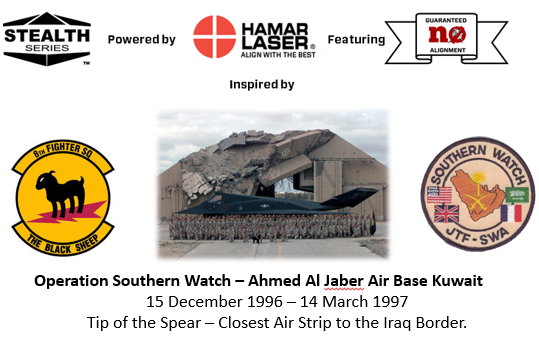 The Stealth Series™ Laser Shaft Alignment Platform was inspired by the elegance, and laser precision accuracy of the ordinance the below F-117A Stealth Nighthawk used to destroy hardened aircraft shelter 17 in the photo below.